The show must go on and it did, even thought the volcanic eruption in Iceland caused havoc for all that needed to travel across the Atlantic and over Europe. Mayumi Seiler was teaching in Salzburg at the Mozarteum when travel was curtailed. It looked like she would not be able to come back to Toronto in time. But somehow she made it. She was unable to perform in 2 pieces, because she was not here to rehearse with the other musicians. But where she played solo there was no problem. Thus Benjamin Bowman took her place in Dvorak’s String Quartet Op.96 in F Major, composed during a visit to the USA. It follows a playful bohemian theme and was very well received by the audience that insisted on a couple of curtain calls. She also did not play in the Brahms String Sextet No1 in B flat major, Op.18, after the intermission, which was another delightful presentation and fitted the theme of Solitude and Community very well. 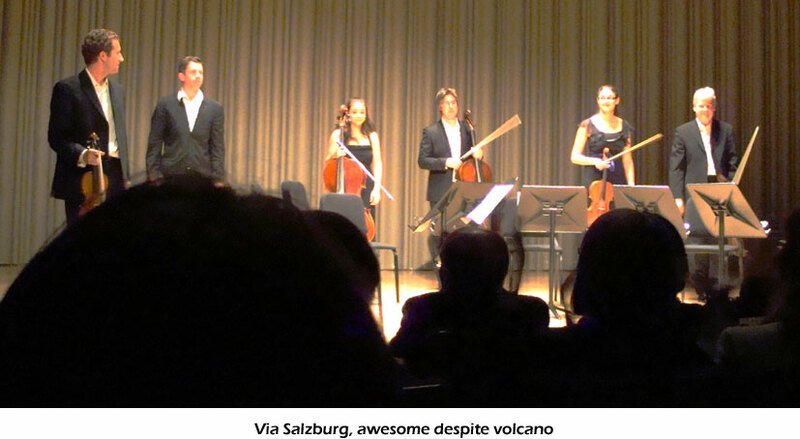 Every concert of the Via Salzburg season has an unusual piece that comes as an unexpected gift to us. This time it was a Sonata No 2 in E Minor for Solo Violin OP.27 No2. This peace had 6 components and leans heavily on Johann Sebastian Bach, “gone a little insane”, as Ms Seiler put it. The dance segments were choreographed by D.A. Hoskins and performed by Tyler Gledhill and Anisa Tejpar. 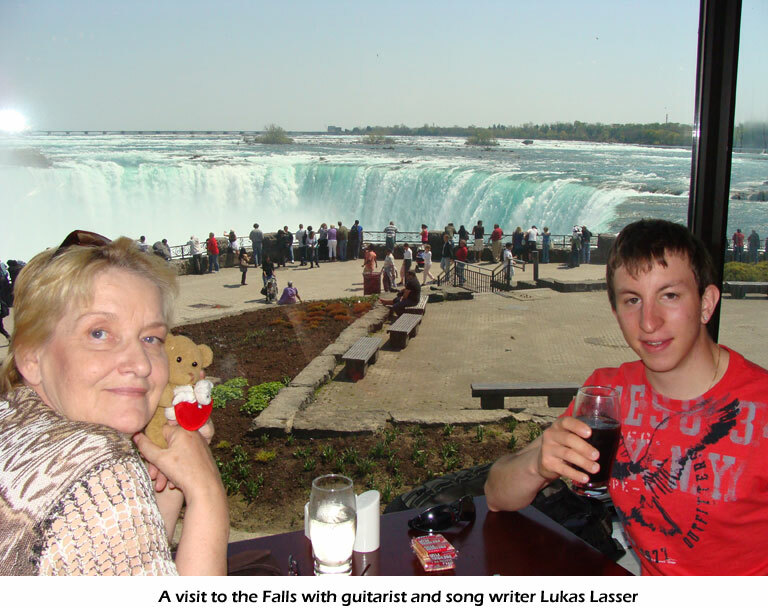 We had taken along a young houseguest from Austria, Lukas Lasser, himself a guitarist and songwriter, who was inspired to write a new tune himself in the following days. This is the stuff these Via Salzburg concerts are made of. They inspire different people in many different ways. We are looking forward to the last concert of the season on May 27 and 28, as always in the Glenn Gould Studio. This time the theme will be Sound and Image. As special guest artist we will see animator Christopher Hinton. He will demonstrate what he experiences when he hears the music of renowned Canadian composer Michael Oesterle. For single tickets call 416:872-4255. Sybille reports as a German-Canadian about culture, arts, entertainment, community events from her unique perspective as an artist.